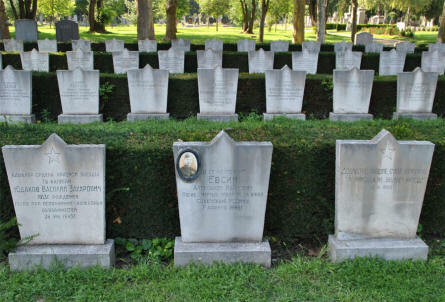 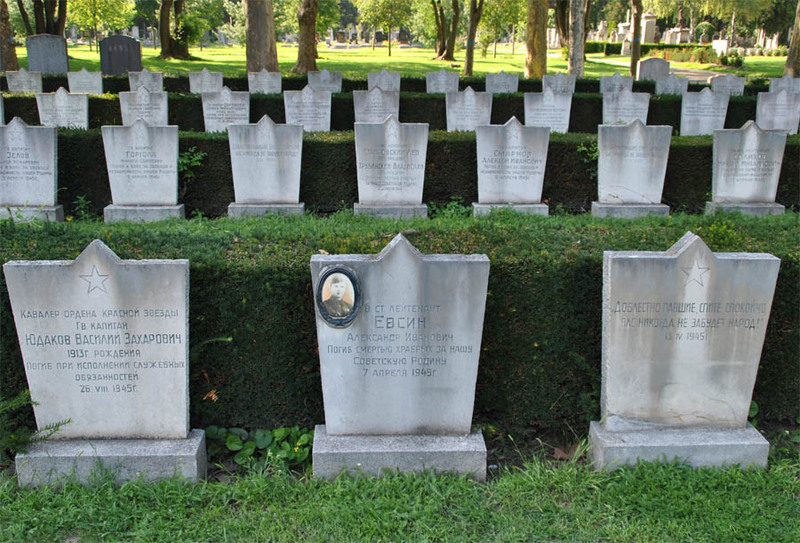 The Vienna Russian War Cemetery is a part of at the Central Cemetery in Vienna. 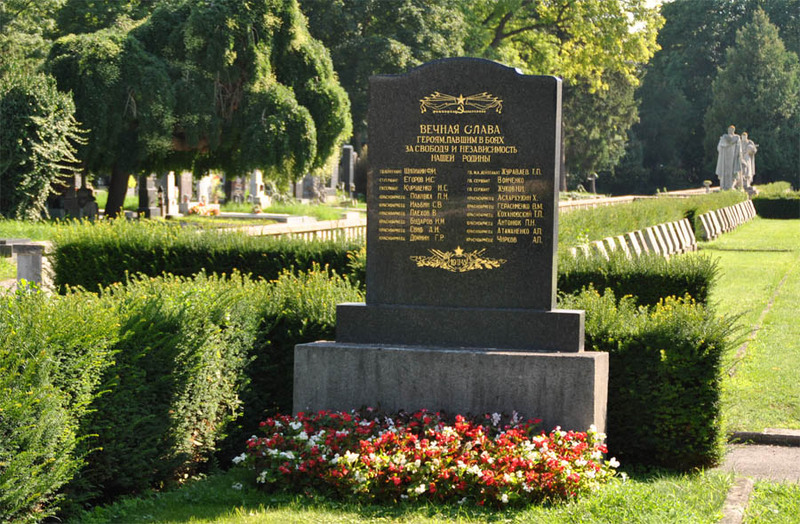 The Russian War cemetery is located at the centre of this very big cemetery - just behind the Dr. Karl Lueger-Gedächtniskirche (the Memorial Church). The cemetery contains the graves of 2,624 Soviet soldiers who died during the battle of Vienna in 1945. One of the many Russian World War II graves at the Vienna Russian War Cemetery. 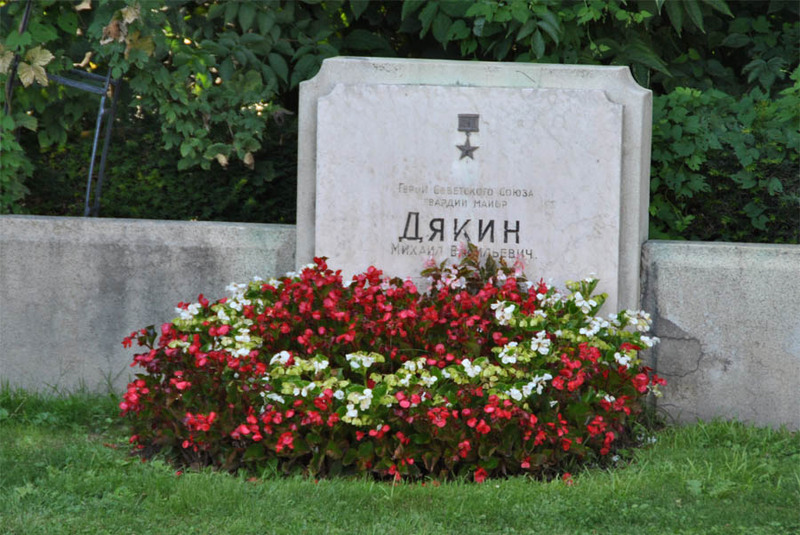 This is the grave of one of the soldiers that were decorated with the "Heroes of the Soviet Union" medal. 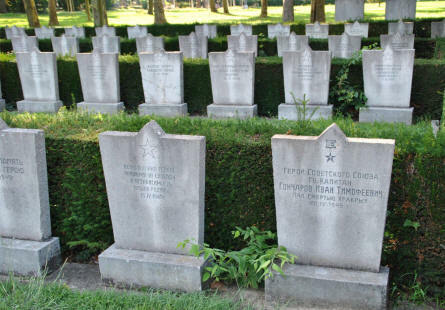 Some of the many Russian World War II graves at the Vienna Russian War Cemetery. 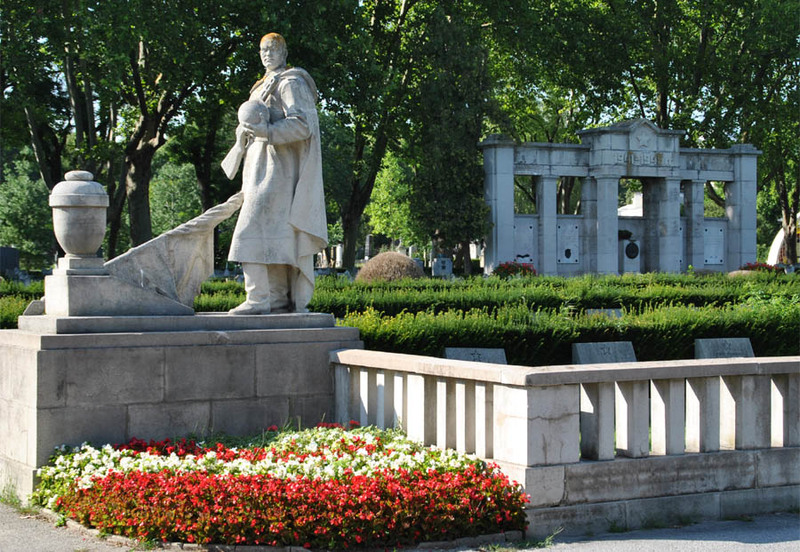 One of the impressive statues at the Vienna Russian War Cemetery. 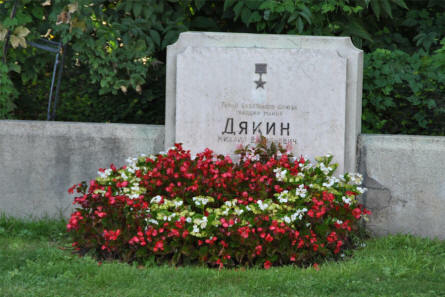 One of the many Russian World War II graves at the Vienna Russian War Cemetery. 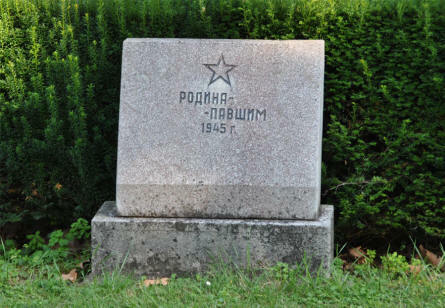 One of the Russian World War II memorials at the Vienna Russian War Cemetery.